Shauna and Annemiek got together in Ireland to define the details of their collaboration with as few restrictions as possible so as not to impose on the needed freedom. As they had both arrived at the same idea – a bowl should inspire a story which in turn should be the source of inspiration for another bowl – the need for inspirational freedom was decided easily. Shauna is to start with a story and Annemiek with a bowl. They will both work on their stories/ bowls for about a year, updating progress, issues, inspirations in a blog dedicated to the project. What remained to be decided upon was a topic. Again, this had to be open as previous experience had shown that if this was too restrictive, it would block the inspiration and thus render the project impossible to do. It happened (unusual for an Irish autumn!) that the weather was great when Annemiek was in Ireland. 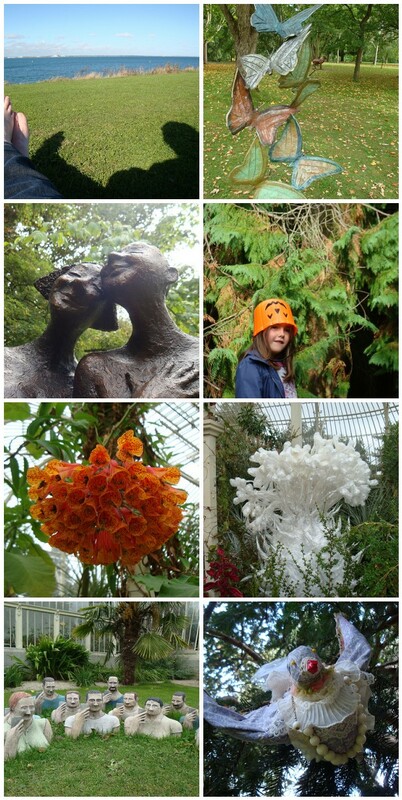 They decided to take a break from the blogging and took Shauna's children to the Botanic Gardens in Dublin where a temporary sculpture exhibition was on. Interestingly the exhibition was called Sculpture In Context. It was during this wonderful autumn day when Annemiek took photographs and Shauna wrote in her notebook that they both realised that engaging in other types of art can lead to a feeling of freedom in ones own craft. Please feel free to follow our adventure on our blog dedicated to this project.